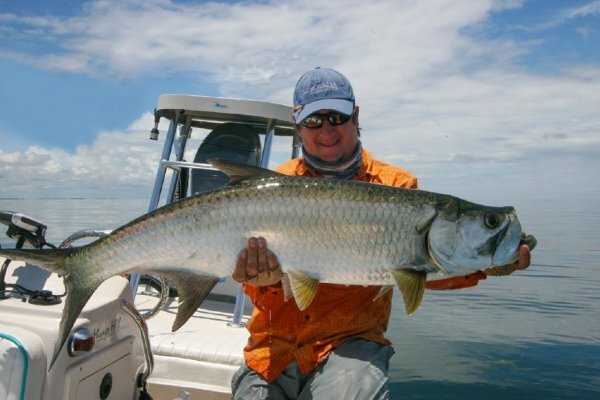 Isla del Sabalo "Island of Tarpon” is truly the new frontier in world-class fly fishing for baby tarpon. Ranging in size from 5 to 30+ pounds, these tarpon reside in environs of turtle grass flats and mangrove lined lagoons, creeks, and channels. This habitat is also home to snook, snapper and barracuda. Isla del Sabalo is located off of the northern coast of Mexico’s Yucatan Peninsula. Day 1: Arrive Merida and overnight. Day 2: Transfer to lodge around mid-day. Days 3 – 7: Full days guided fishing. Day 8: Full day of fishing. Afterwards transfer to Merida and overnight.